Stop using your brain as your primary method of remembering where each image resides. Learn to develop and implement an organization system for your images that will allow you to find any important photograph in less than 5 seconds. Not only will you be able to quickly find any image you can remember shooting, but you’ll also have a trusted system for keeping track of important details about each image such as: model release status, copyright registration records, licensing history and much more. Ben Willmore has been using Lightroom for over eight years and in that time has developed very effective methods for managing his images. He will help you to radically transform the way you think about organizing your photos in Lightroom. The first step is to make your images searchable by applying keywords. 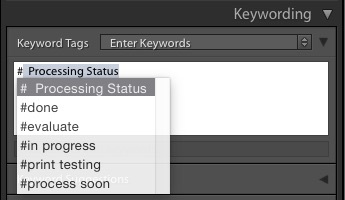 Regardless of whether you have no idea what a keyword is, or if every image you’ve shot has been tagged with a keyword, Ben’s approach will change the way you think about this invaluable feature. Along the way, you’ll learn how tagging a single keyword to an image can suddenly make the image findable when searching for over a dozen different keywords. 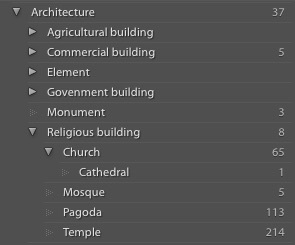 That means tagging an image with “Cathedral” will make it show up in searches for “Church.” “Architecture,” “Religious Structure” and more. 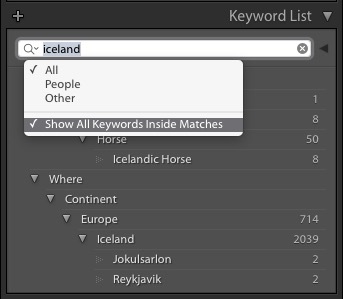 You’ll see how organizing your keywords can have many benefits and give you a different way of exploring your image catalog. Instead of viewing your images by folder, collection, or search, you can now browse based on subject matter. You’ll see how using special characters can change the way you approach keywording and how capitalization can shift the way you interpret your keyword list. We’ll also explore some small features that can make a big difference and are lurking just below the surface if you were to know the right places to click. Learn to change how you think about working on your laptop when you’re away from your studio and primary storage system. You’ll be able to tag and organize your images even when the hard drive that contains the originals is not available. Not only that, but you’ll learn to manage your images and Lightroom catalog when using multiple computers (laptop in field and desktop at studio, for instance) while keeping everything in sync. Once you’ve started to implement an intelligent organizational system, you’ll be able to start applying automation to make your life easier. Using Smart Collections, you’ll be able to quickly locate which images need to be keyworded and automatically collect common subject matters such as textures, background or skies. You’ll understand how Stacks can have a dramatic effect on search results and how they can be used to intelligently omit images from your results. For the majority of features covered, it will not matter which version of Lightroom you use. Sure, there are a few features that have been added over the years, but the core functionality of the Library module was implemented pretty early on. 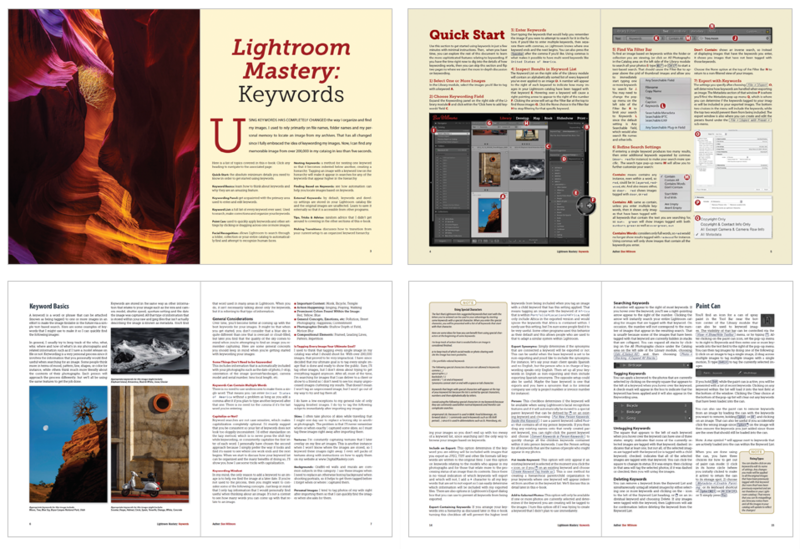 Throughout the e-book, Ben reveals his favorite tips about using Lightroom as a whole. You’ll be surprised to learn how a tiny hidden feature can completely transform the way you think about the program.